Contoil flow meters work on the volumetric principle of rotary piston meters (positive displacement meters). The main features of this measuring principle are large measuring ranges, high accuracy, suitability for high viscosities and independence from power supply; flow disturbances do not influence proper operation. Rotary piston, guide roller and drive are the only moving parts in contact with the liquid. 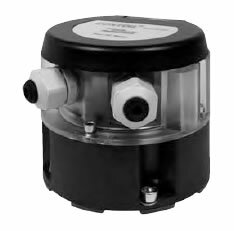 Their movement is transmitted by a magnetic coupling through a sealing plate. The hydraulic part is completely separated from the totalizing module. Connections are made radially with two cable entries underneath the display unit which can be mounted and rotated through 90° steps. With the exception of the counter with the RV Reed Pulser, the roller counter can be rotated through 360° for optimum readability. The connections for the inlet and outlet are situated vertically from below in the base plate. With the OEM meter version the connections are situated on the side. Measuring error limits according to technical data of meter in% of actual value for the whole measuring range. Horizontal mounting, readings from counter. Contoil® Oil meters are never to be tested with water, otherwise they will get damaged. 1) For differential measurement the flow meter has to be selected according to the pump flow rate and the flow in the return pipe. mounting and commissioning are carried out with care, the meters are used for their defined purpose only. The quantities consumed by all consumers must be registered by the meter. Rotary piston meters do not require flow conditioners or inlet runs (after bends, T-pieces or fittings). They may be mounted in horizontal, vertical or inclined position, except with the head pointing downwards. The layout of piping must ensure that the meter is at all times filled with liquid and that no inclusions of air or gas may occur. Do not install the instrument at the highest point of the installation. Meter and accessory equipment must be easily accessible. The technical data are valid for the following reference conditions: EL heating fuel / diesel at 20°C. For higher viscosities or if the meter is mounted on the suction side of a pump, it is necessary to determine the pressure drop and the flow rate that can still be attained by using the pressure loss curves (page 25ff). If the pressure drop is more than 1 bar, it is advised to use the next larger meter size. Maximum permissible pressure drop = 3 bar. Should impurities occur in the plant or in the fuel, a dirt filter has to be installed before the meter. 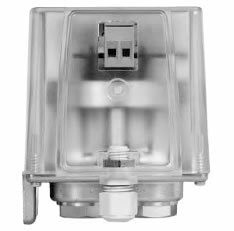 The filter mounted in the meter inlet is only a safety filter and is too small to act as a dirt filter. In order to avoid backflow and draining, stop valves have to be mounted after the meter. Backflow and draining cause measuring errors and can damage the meter. For filling and dosing the valve has to be mounted between meter and outlet. The shorter the pipe section between meter and outlet, the higher the accuracy. Fast opening and shutting of the valve should be avoided (pressure hammer!). Any backflow must be avoided on meters equipped with pulsers for remote processing. If this cannot be achieved by appropriate plant design, a non-return valve should be fitted. Electrical wiring and installations are subject to statutory regulations which must be taken into account when planning the system. For installations in zones subject to explosion hazards, consult an appropriate expert. A cable with wire diameter of 0.5mm is generally suitable up to 25 m and such of 0.8mm will go up to 100m. In all other cases the limiting factors should be considered. Limiting factors are supply voltage (U) and resistance of the load (RL). To ensure the maximum current signal of 21.5 mA with sufficient operating voltage for the meter the following formula is used to calculate the maximum permissible resistance (RL) which consists of the resistance of the cable plus the resistance of other components within the circuit. Knowing the resistance of the other components, the maximum permissible length for the cable can then be calculated. Limiting factors depend on the input specification of the higher system or the totalizer. The ability of the input to detect the actual state of the switch is specified by the system manufacturer. 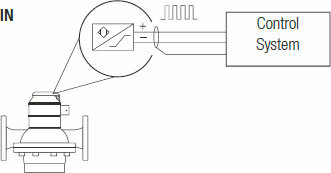 For the relay switch a maximum of 100 Ω at ON-state has to be considered together with the cable's resistance. A minimum of 10M Ω at OFF-state has to be considered together with the cable's capacity. The maximum permissible length of the cable depends on the individual properties for resistance and capacity. Our range of products includes passive pulsers for the remote processing of flow data. 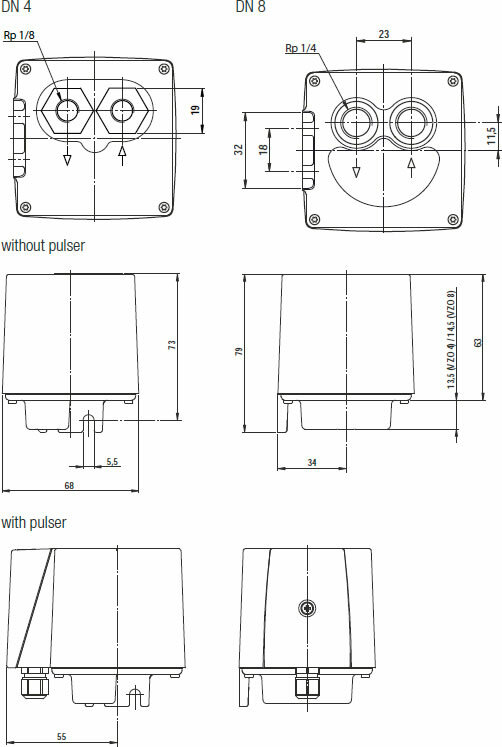 The pulser generates one pulse per unit of volume and is to be supplied with power from the pulse processing device. The selection of the most appropriate pulser and pulse value depends on the application. As a rule, remote totalization demands rather large pulse values, whereas analogue signals, dosing control or indication of actual flow rate tend to need small values. Battery supplied devices can only be used together with Reed pulsers. The pulse length depends on the flow rate. Continuous contact may occur at zero flow. The device connected must therefore be able to accept continuous load; otherwise, protective measures have to be taken. For remote totalization, it is recommended to use an electronic pulse counter with a low power consumption and bounce filter. Interrupted flow may cause hydraulic oscillation of the liquid in certain plants (hydraulic vibration with minimal backward/forward flow). The pulses which can occur in such cases may be interpreted as forward flow by the connected device. Such faulty pulses do not affect the indication of the actual value since they can only occur at almost zero flow. However, if the pulser controls a counting device, hydraulic vibration must be avoided by an appropriate modification or layout of the plant. Pulse values depend on type and nominal size of the meter. They are listed in the technical information of the meter concerned. We recommend that this calculation be carried out for the highest and lowest expected flow rates. Instead of returning the fuel back into the main tank, an intermediate tank equipped with a heat exchanger should be installed on the supply side of the system. The flow measurement is taken in the supply pipe to the intermediate tank. The load on the meter and the measuring result correspond precisely to the consumption. For differential measurements, the piping remains unchanged, with circulation back into the tank. A flow meter is installed in both supply and return pipes. The consumption is determined as the difference between the amount in the supply section and the amount in the return section. The meter loads therefore correspond to the supply and return flow rates. Based on the interface variable set, local measurements at the terminal of generator (such as the reactive and active power, terminal current and voltage) can be chosen to describe the relationship between the generator set and the AC grid. Furthermore, based on the interface equations, the relation between the terminal measurements and the immeasurable variables in the differential equations of generator (such as the d and q-axis stator circuit currents, the transient EMF in the q-axis) can be established. Thus, it is easy to transform the immeasurable variables into local measurements, and then the nonlinear controller using only local measurements can be designed easily. For an optimal result, special meters are therefore used for differential measurements. These are precisely matched to the operating conditions and are calibrated in pairs. This means that the measurement error can be significantly reduced (for example: ±0.1% at constant flow rates on the supply side and ±0.3% with slightly variable flow rates on the return side). On ships, care is usually taken to ensure that the engine can still be operated at full power even if the filter is heavily contaminated or if the meter is damaged. When switching over to the bypass, attention may be drawn to the necessary maintenance via an alarm output, and the engine can be temporarily operated without measuring the consumption. The magnetic valve opens as soon as the pressure drops below a defined level. 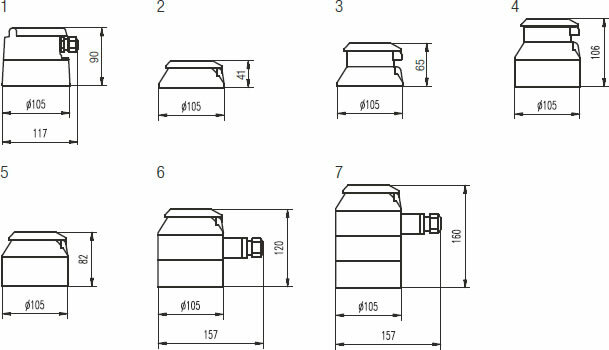 Float or valve control in the intermediate tank is required. Formation of gas is to be avoided. 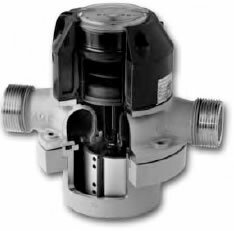 The magnetic valve opens as soon as the pressure drops below a defined level. 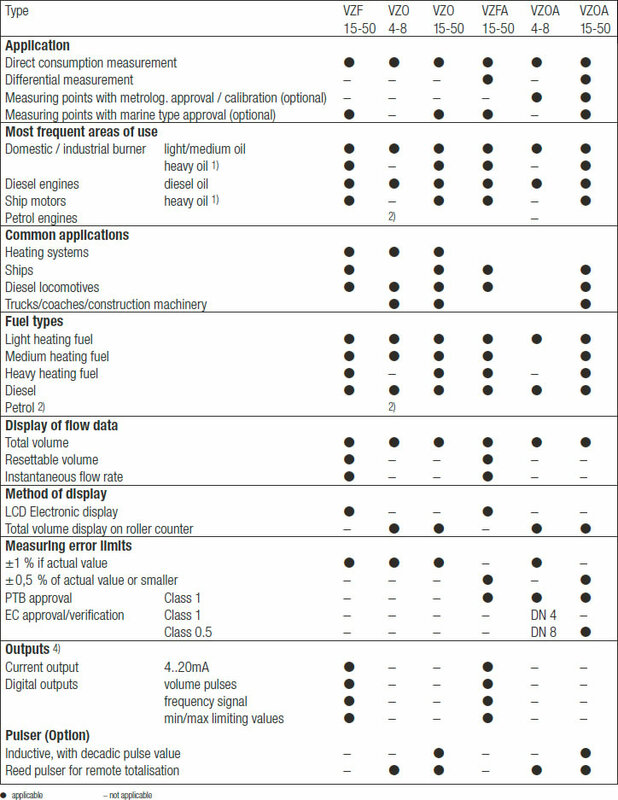 For measuring the consumption of more than one engine, each will require a separate installation similar to the one above.